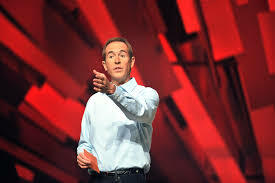 Andy Stanley leads a huge Christian church in Atlanta and, following in the footsteps of his father, Charles Stanley, has become a very popular author as well. However, unlike his dad, Andy has put forth some controversial theological opinions that, I believe, rob Christians of their rich spiritual heritage, and perhaps much worse. His theology could also enable one who’s faith is immature, or yet to be developed, to fall away from their relationship with Jesus. Or, worse still, could foment anti-semitism. No, I’m not doubting brother Andy’s salvation or walk with the Lord. In fact, I’ve utilized one of his books for the creation of an evangelical curriculum my wife and I periodically use for new/non believers (I added quite a bit of “Old Testament” to enrich the study). Stanley also claims that when Jesus became the living sacrifice, many old rules went away, the Ten Commandments included. “The new covenant replaced the old one. The covenant established by Jesus retired the covenant God established with the nation of Israel. This is why most Christians don’t mind a little bacon with their eggs,” Stanley said. What Stanley is describing is often called, “replacement theology.” I believe such a take on God’s word is robbing innocent Christians of fully comprehending the magnificent character of God. I also believe when Christian pastors avoid teaching from the “Old Testament” they are setting up new believers for potential failure. When religious Jewish people come to acknowledge that Yeshua (Jesus) is Messiah, suddenly their eyes are opened to the Hebrew Scriptures (Old Testament). They see the very first promise of a Redeemer in Genesis 3:15 (“And I will put enmity between you [Satan] and the woman, and between your offspring and hers; he will crush your head, and you will strike his heel”). They understand why God chose Abraham and Sarah to bring forth a nation that would ultimately bear the offspring first mentioned in Genesis 3. By knowing the account of the first Passover, they have a deep comprehension of the need for a blood sacrifice to cover the sins of all who surrender to His plan. Through the Ten Commandments (and the other 603 commands) they have gained a better glimpse of the totality of God’s character. By having an understanding of the Jewish prophets, they grasp the need for the Messiah’s virgin birth, his ministry to the Jews, his sacrificial death, his ascension from the grave, and his second coming. And for those Messianic Jews who do continue to keep or abide in various elements of the Jewish Law (clothing, diet, holidays, etc. ), they do so with great gladness and joy because the full meaning of life and eternity has been revealed to them in that of Yeshua. As a result of this abiding faith in the totality of the scriptures, you don’t meet many Jews who come to follow Messiah, only to fall away. Sadly, I’ve watched countless gentiles “accept Jesus as Lord,” and in time go back to their former ways as if nothing ever happened. Perhaps if they had a regular diet of both the “Old” and “New” Testaments, their newfound faith would have stood the test of time? 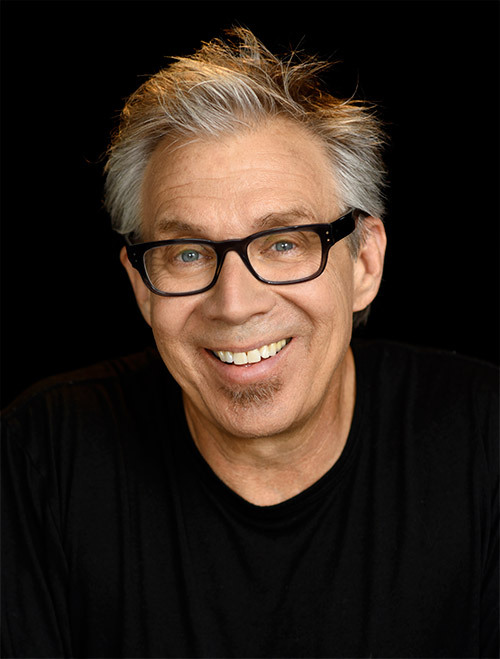 Last year Stanley sparked controversy when he preached a sermon series calling on Christians to “unhitch” their faith from the Old Testament. That’s what many refer to as “replacement theology”—the idea that the Church has replaced biblical Israel and that God’s promises to Israel as a nation and the Jews as a people are essentially over. Stanley said his words had been taken out of context. By avoiding the rich teachings found the “Old Testament,” I believe that Andy Stanley (and perhaps others) are feeding their flocks an unbalanced spiritual diet. It’s like serving up a delicious desert without a healthful meal beforehand. Finally, consider this: those who wrote the “New Testament” had only the Jewish scriptures as their point of reference to the truth. My prayer is that Andy Stanley has a moment of clarity and recants this reckless replacement theology. I’ve tweeted this post out and am hoping Andy will see it and respond. ← Smartphones and the Antichrist, Satan’s Electronic Heyday?